Want to write a story about PBUSA? View our complimentary press-kit. An NBC News investigation found dozens of cases nationwide where parents involved in booster clubs were stealing tens or even hundreds of thousands of dollars from the students. 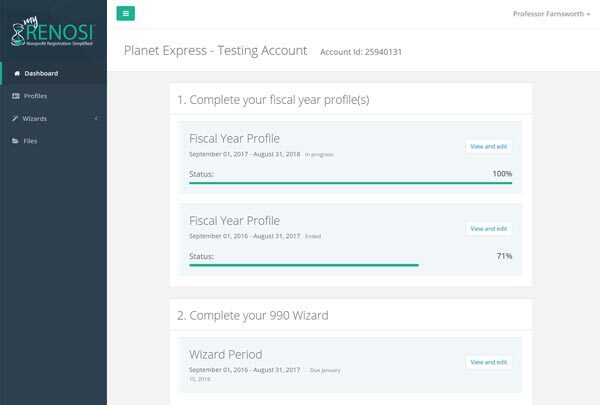 By the time the PTSA leadership at David C. Hinson Middle School realized it, tens of thousands of dollars had disappeared from the group's bank accounts. The Daytona Beach association had raised the money through walkathons, doughnut sales, after-school socials and banner sponsorships and intended to spend them on iPads, an athletic track and classroom projects. The treasurer, Diane Holland, admitted "borrowing" money, saying she intended to pay it back when she received her income-tax return, court records show. Volunteer organizations raise money for their schools. That sounds like a simple and praiseworthy relationship . . . but maybe not. Even if a school has a good relationship with its fundraisers, the split of roles and responsibilities between the school and its fundraising organizations is usually less than ideal. Sandra recently had dinner with Amy to learn more about the theft at her daughter’s high school. Press reports indicated that at least $14,000 was stolen from the school spirit store over more than a year. The school’s support organizations had weak internal controls; discovery of the theft, Sandra learned, was almost happenstance. It takes 2 to prevent theft! 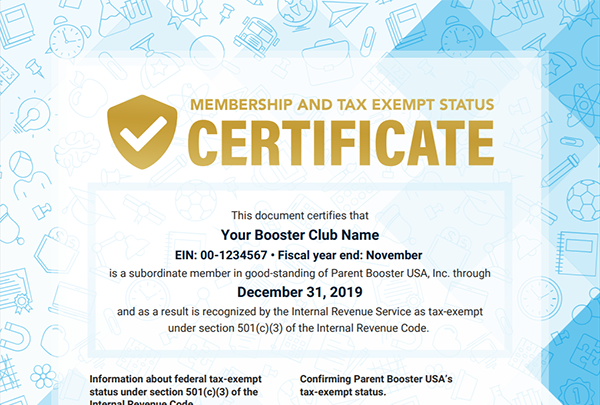 Parent Booster USA (PBUSA) is the leader in keeping America's school support organizations compliant with IRS, state and local nonprofit fundraising rules. PBUSA helps schools ensure that their parent teacher organizations (PTOs), booster clubs and other school support organizations have 501(c)(3) federal tax-exempt status, and manage and control the funds raised to better serve the needs of the students and schools they support. PBUSA currently has members in 48 states with a 95% renewal rate. PBUSA provides the tools schools and their support organizations need to stay registered with the IRS and state authorities, and make sure the groups are operating with accountability for the funds raised and transparency regarding their activities. PBUSA provides the ongoing continuity, guidance, and support and supervision school fundraising groups need. 4Parent Booster USA estimate that at least 25% of K-8 schools have a PTO, and at least 50% of secondary schools have 2 or more booster clubs. Actual number of school support organizations is likely much higher. A comprehensive study to update and improve the 2010 Urban Institute study is recommended. Financial accountability – Schools, school districts and state governments are increasingly raising concern over the financial practices of school support groups, including concern with incidences of theft of funds by volunteers. Cooperative fundraising – An August 2013 Tax Court decision confirmed earlier IRS findings that the common practice of school support groups fundraising and then crediting only those that raised the funds or volunteered time with the amounts raised (individual fundraising accounts) provides a personal benefit and is not a tax- exempt activity. Free public education – The American Civil Liberties Union (ACLU) is bringing actions against schools and school districts across the country claiming that certain school fees violate free public education laws. Claims include that schools inappropriately use booster clubs and support organizations to collect fees on behalf of the schools.